Lenses and Filters are investigative tools of enquiry and domain analysis allowing the discovery of concepts and relations. 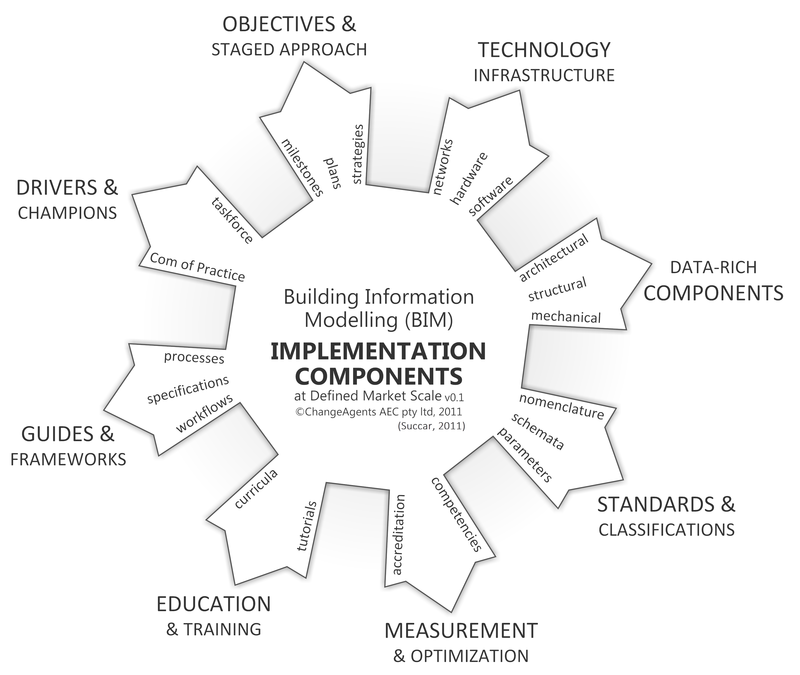 The difference between (BIM) Lenses and Filters can be summarised as such: Lenses are additive and are deployed from the ‘investigator’s side’ of BIM Field observation while Filters are subtractive and are deployed from the ‘data side’. 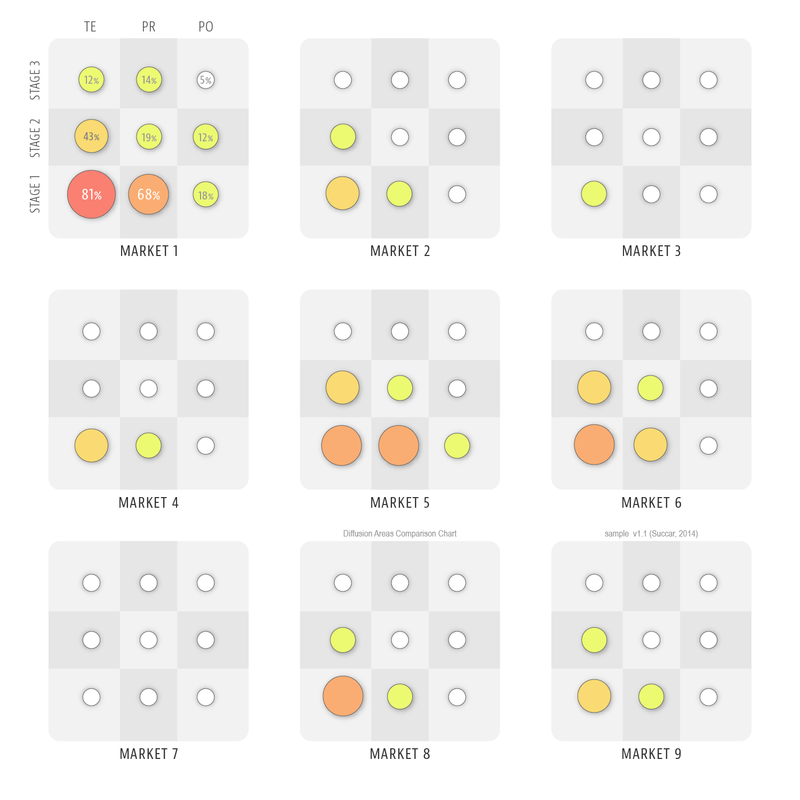 Lenses highlight observables that meet research criteria and identify their relations; example, an infrared lens highlights heat sources in a scene. Filters remove observables that do not meet the research criteria; example, data filters hides non-conforming data within a spreadsheet. 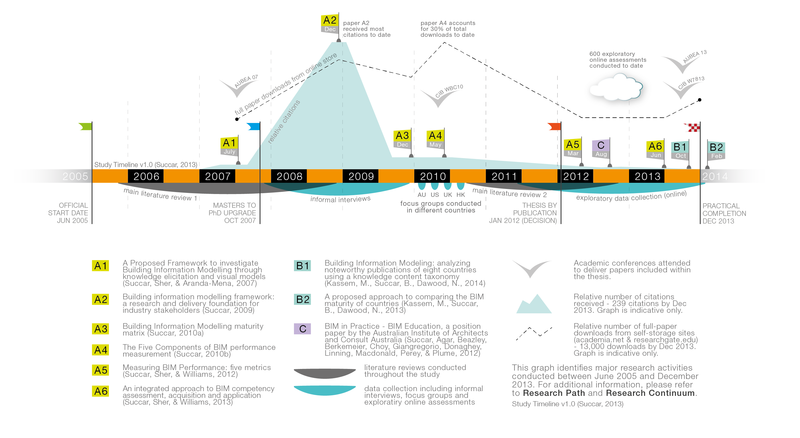 The Research Continuum v1.1 represents a network of conceptual and practical deliverables across a number of papers till December 2013 (model to be updated in 2016). 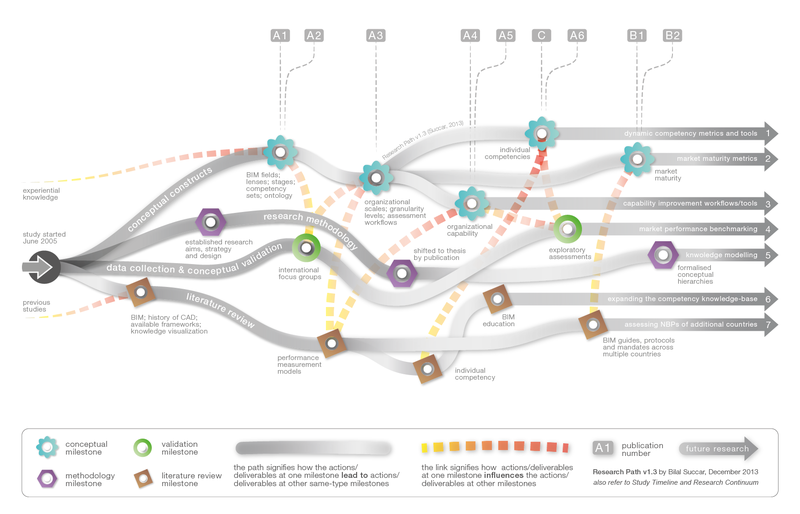 The continuum highlights how each paper delivers a number of conceptual constructs which either extend earlier constructs/tools or support the development of new ones. 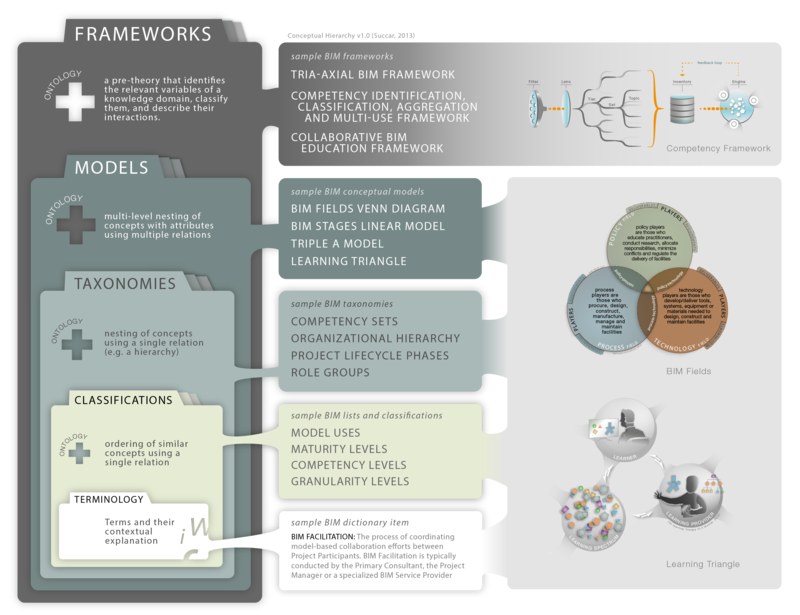 Constructs are hierarchical - frameworks, models, taxonomies, classifications and dictionary terms - yet interconnect through explicit ontological relations. 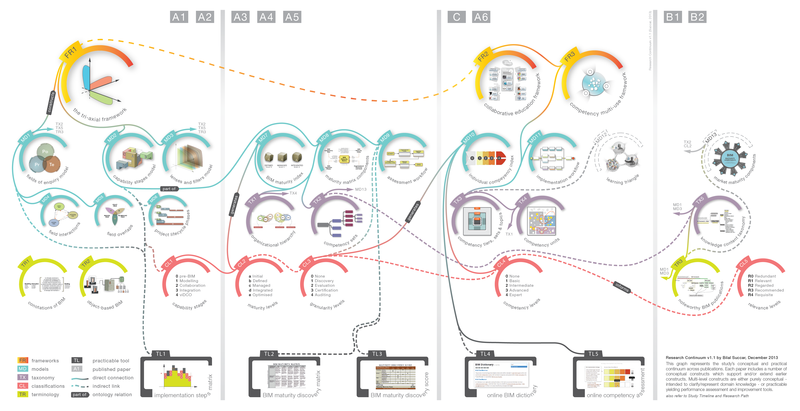 At the bottom of the image are sample Knowledge Tools TL1-TL5 (e.g. 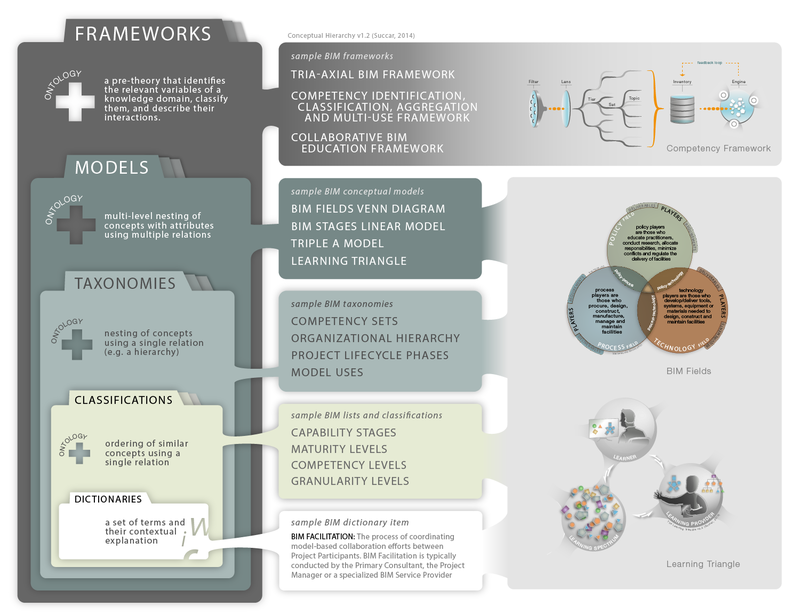 TL4 is the online BIM Dictionary) which are dependent on these conceptual constructs. 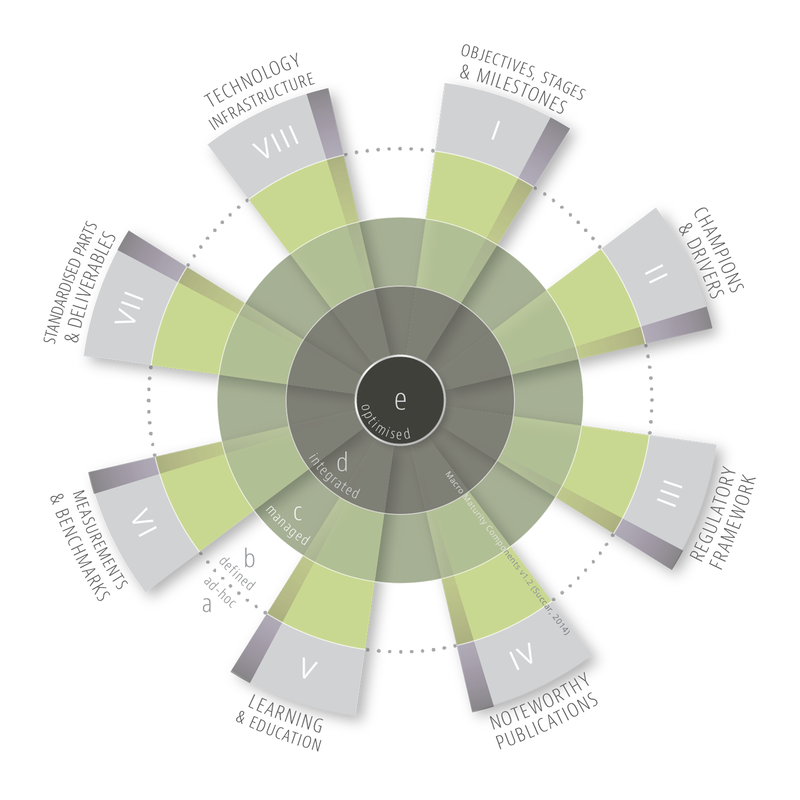 Updated 19 July 2016: The continuum clarifies how the BIM Maturity Matrix (TL2 - a practical tool introduced in Paper A3 and later released in a number of languages) is dependent on several models (e.g. MD7-MD9), which are in-turn ontologically-connected to a number of taxonomies, classifications and dictionary terms. Frameworks show “the gestalt, the structure, the anatomy or the morphology of a field of knowledge or the links between seemingly disparate fields or sub-disciplines” (Reisman, 1994, p. 92). Models (conceptual models) are simplified representations and abstractions of the “enormous richness of this world” (Ritter, 2010, p. 360) (Lave & March, 1993). Taxonomies are an efficient and effective way to organize and consolidate knowledge (Reisman, 2005) (Hedden, 2010). A well-structured taxonomy allows “the meaningful clustering of experience” (Kwasnik, 1999, p. 24). Classifications are the “meaningful clustering of experience” (Kwasnik, 1999, p. 24) and “lies at the heart of every scientific field” (Lohse, Biolsi, Walker, & Rueter, 1994, p. 36). Classification is also a heuristic tool useful during the formative stages of discovery, analysis and theorizing (Davies, 1989). Dictionaries constitute a a web of meaning (Cristea, 2004) connecting terms to each other and to other knowledge bases. Mandates: documents which are prescriptive and dictated by an authority. 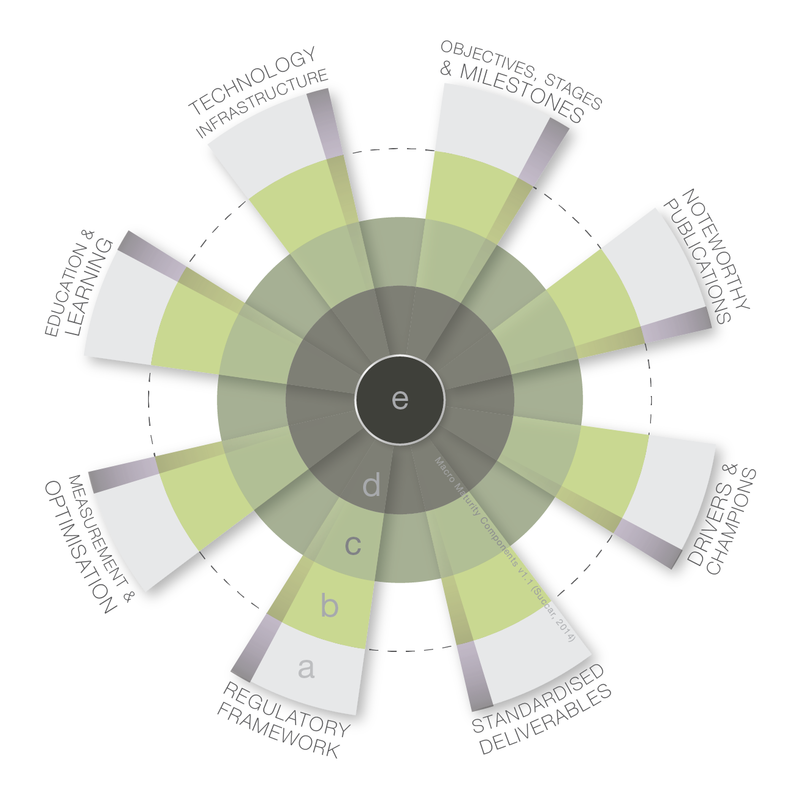 Mandates identify what should be delivered and – in some cases – how, when and by whom it should be delivered. 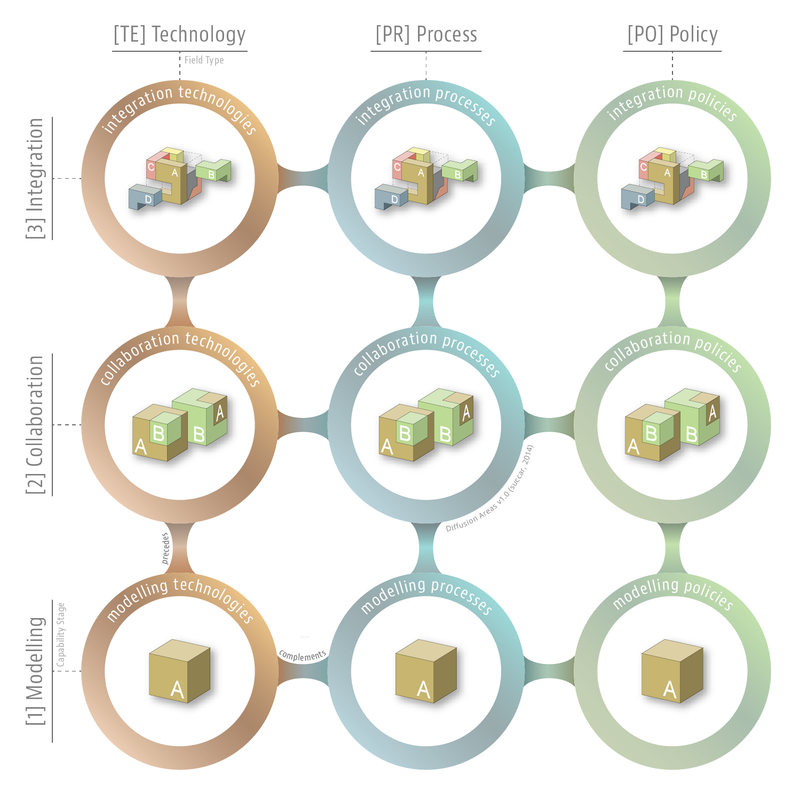 When used to assess NBPs, the three KCT clusters would inform country-scale BIM maturity assessment. For example, a country, with all its NBPs pertaining to a single cluster (e.g. guides – descriptive and optional), would arguably face different implementation challenges to those faced by a country with its NBPs distributed across guides, protocols and mandates. There are 12 organizational units, each with their own unique metrics (refer to Building Information Modelling Maturity Matrix (Succar, 2010).